Snow school: Everybody who plans to be work in the field away from McMurdo, even if only for day trips, must take "snow school". 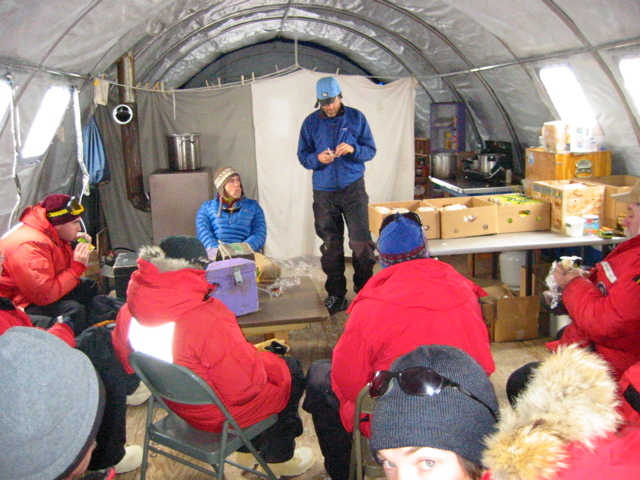 This is a two-day survival school where one learns how to survive for a few days with the survival "kits" that everybody must have when working in the field. In this picture we were preparing to head out and build snow shelters. The instructors (Matt and Allen) are in blue.